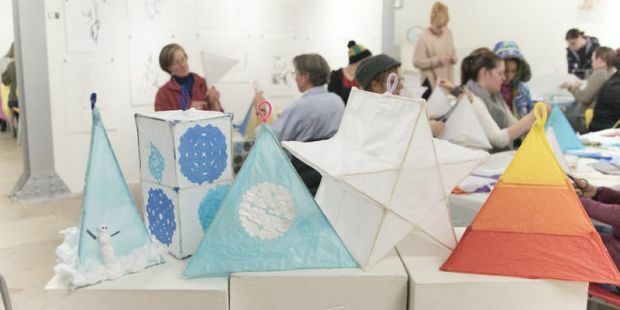 Calliope Collective is giving you a chance to make your very own paper and bamboo lantern to bring to The Longest Night - Community Solstice Celebration at Doug Fluhrer Park December 21 for the #Winter Solstice! No experience required, and all ages are welcome, although children under 10 will require assistance. We will provide the materials & instruction. You bring your friends, family, and creativity! Please note that these workshops serve as a fundraiser for the main event, which provides equitably paid performance fees to its professional artists, and accessibility to those artists, giving the community opportunities to learn from those artists with professional development workshops. While we ask $10/session please email us at @info@calliopecollective.com if you need help covering your fee.